It's not too early to start making plans for Valentine's Day! We invite you to join us for an unforgettable evening filled with laughter, relationship advice, yummy food, and breathtaking marine life! On Wednesday, February 11, 2015, we will be hosting the Share Parents of Utah Valentine's Gala at the Living Planet Aquarium, featuring guest speaker Dr. Matt Townsend. Please visit our Eventbrite site for more event details and to purchase your tickets. We have a limited number of seats available, so get your tickets now! Tickets are available until February 2, 2015. 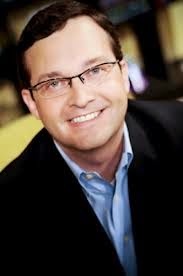 Check out Dr. Townsend's website HERE or check out some of his recent segments on Studio 5 by clicking HERE. Dr. Townsend will be talking about marriage and relationships after a loss, but it's not your typical, boring therapy session. Dr. Townsend combines humor and wit with his unique gift of understanding relationships to create a powerful and lasting impact with audiences. Not only will you gain skills, it will be a lot of fun! Dr. Townsend will also be gifting attendees *FREE* tickets to his Valentine's Date Night on February 14th at Olympus High School, a $50 value! 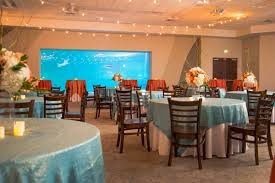 Before dinner, enjoy private access to the entire aquarium. Take your time to stroll the breathtaking exhibits and beautiful scenery without having to compete with noisy school groups. We will also have over $500 with or prizes and gifts that will be given away throughout the evening! Semi formal attire is recommended (jacket and ties for me, nice dresses for the ladies). We hope that you will spend your Valentine's with us! Your ticket includes: Private aquarium access (a $15.95 value), a great speaker (a $35 value), and a delicious dinner (a $50+ value), all for one great price! During our November Support Group Meeting on Tuesday, November 25 at 7:30pm at Jordan Valley Hospital, we will be making little keepsake Christmas ornaments. We will provide the glass globe as well as other decorations to put inside, and you are welcome to bring pictures, your baby's name printed on a little piece of paper, or any other small item that you would like to place inside. Please email us at info@shareparentsofutah.org and let us know if you will be attending so that we can make sure to have plenty of supplies for everyone to make one. There is no cost for the ornaments - it's our gift to you!